Almost everything tastes better with ketchup. For some, fried foods and the like are mere vessels to transport the delight that is ketchup from plate to mouth. 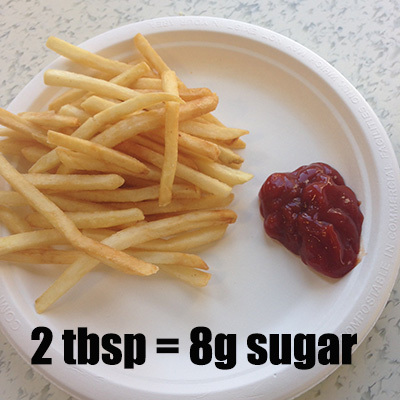 Justifiably, the condiment is a near-requirement when it comes to French fries. 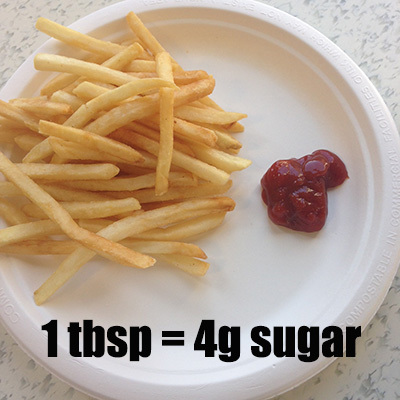 It's not often considered a diet-buster, but topping food with ketchup actually involves a lot more sugar than most people realize. 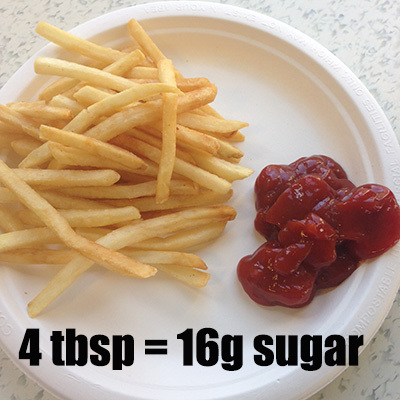 That's because a single fast food-style packet of ketchup contains a mere two grams of sugar -- and while that's not a lot of sugar by any means, you're probably even now admitting to yourself that a single packet is rarely enough to satisfy your ketchup-to-fry ratio requirements. Still not enough? Why not give the bottle an extra squeeze, adding another serving of ketchup? 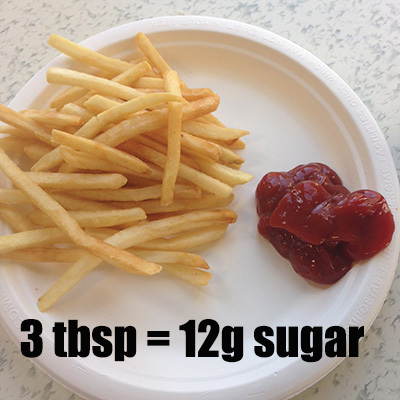 If you ate half a cup of Haagen-Daaz ice cream, you'd be consuming fewer grams of sugar than you would eating this much ketchup. 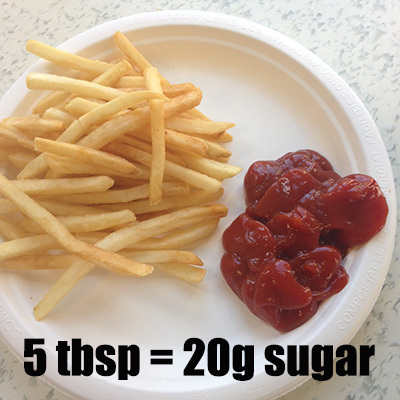 This isn't to say you should relinquish your love for ketchup. But the visualization could encourage you to squeeze a serving less if you're attempting to limit your sugar intake. Sugar is partly to blame for much of America's obesity epidemic; Consuming too much can increase person's risk for other ailments, including depression, diabetes and heart disease. Don't let the sneaky culprit undo your health efforts without you even knowing: Read labels, and remember that portion size matters.